In recent years a set of challenging questions have arisen in relation to the status of animals; their treatment by human beings; their cognitive abilities; and the nature of their feelings, emotions, and capacity for suffering. 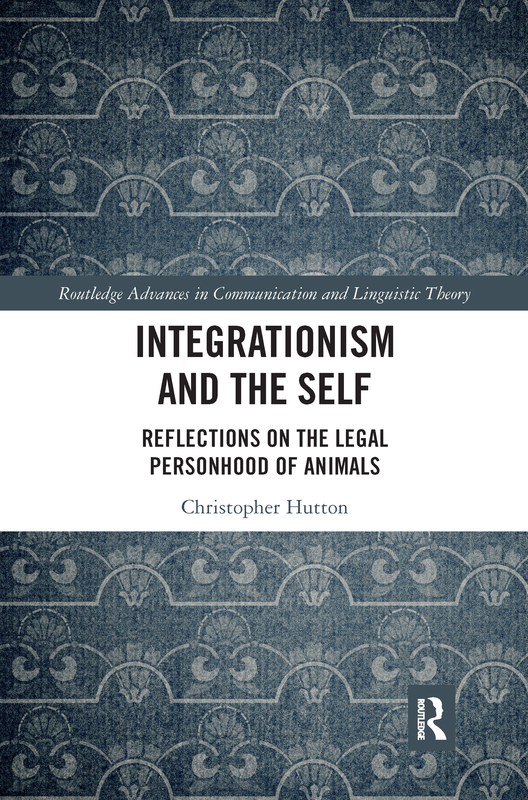 This ground-breaking book draws from integrational semiology to investigate arguments around the rights of certain animals to be recognized as legal persons, thereby granting them many of the protections enjoyed by humans. In parallel with these debates, the question of the legal personality of artificial intelligence (AI) systems has moved to the forefront of legal debate, with entities such as robots, cyborgs, self-driving cars, and genetically engineered beings under consideration. Integrationism offers a framework within which the wider theoretical and practical issues can be understood. Law requires closure and categorical answers; integrationism is an open-ended form of inquiry that is seen as removed from particular controversies. This book argues that the two domains can be brought together in a challenging and productive synthesis. A much-needed resource to examine the heart of this fascinating debate and a must-read for anyone interested in semiology, linguistics, philosophy, ethics, and law.